The rising adoption of mobile devices and the increasing contribution of mobile devices to online sales have forced businesses across industries to adopt mobile devices to stay relevant. But, mobile adoption the right way is critical to reaping the benefits and businesses, often in a hurry to adopt, ignore things which adversely impact their business. In this blog, we will look at a few things which if ignored can adversely impact your sales through mobile devices. Most eCommerce stores are designed keeping the traditional desktops or larger screen sizes in mind. This year, with global mobile internet usage set to take over desk internet usage (Vodafone), having a responsive eCommerce store alone is not enough; consumers need an eCommerce store which is designed for mobile devices. The challenge with a responsive store alone is that businesses end up presenting all the information, presented on a larger screen, on the mobile device in a mobile friendly layout. Consumers have very short attention span on a mobile device and are not comfortable consuming so much information. Hence, it is important to identify and present only the most relevant information to a consumer on the mobile device. Where ever possible, it pays twice as much to present the information to your consumers as visually as possible (images, videos, etc.). Because of screen sizes, touch interfaces, and other things consuming visual information on a mobile device is convenient and bound to stay with your consumers for a longer duration. 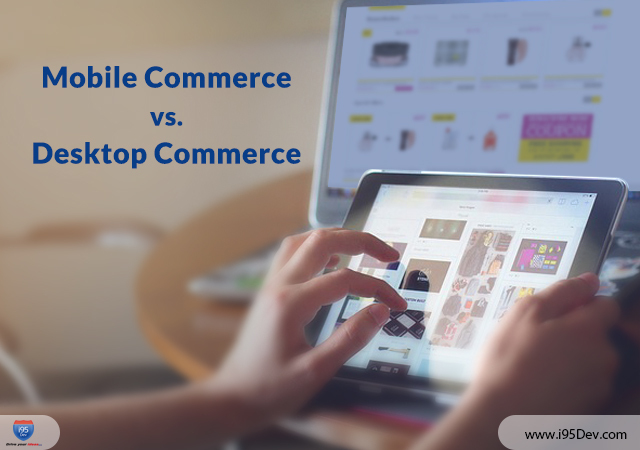 The size of the mobile device, while contributing to the mobility and adoption, presents a number of challenges for eCommerce businesses. Because of the limited real estate available the devices can capture only limited information in one screen which makes it difficult for consumers to find information. This makes it imperative for businesses to provide the best possible search option on mobile devices. While this is true for any platform, irrespective of the screen size, its importance cannot be emphasized enough for mobile device – on desktops, an intuitive navigation can partially compensate for a good search feature but that is not true for mobile devices. Ask your consumers to register, fill long forms and you will soon find them leaving for your competitor store. While not advised for users shopping on desktops, this is a strict no for consumers shopping on Mobile. eCommerce has become popular because of the convenience it provides compared to a traditional brick and motor store and lengthy checkout process with registration forms takes that charm away from it. Keep your checkout process as simple as possible and ask your customers only for information absolutely necessary. Also Read – What Mobile Shoppers Expect from the eCommerce Store? Mobile security is still in its nascent stages and has a lot of catching up to do when compared to security on desktop devices. This is further complicated by the remarkable pace at which mobile adoption is increasing – according to a Nielsen study mobile web adoption is growing 8 times faster than web adoption did in the 1990s and early 2000s. Couple this with the fact that the number of insecure wi-fi hotspots around the world is expected to increase by 350% by 2015 (Vodafone) it is imperative for businesses to give security its due importance on mobile devices. What are your thoughts on eCommerce and mCommerce? Share your views by commenting below.